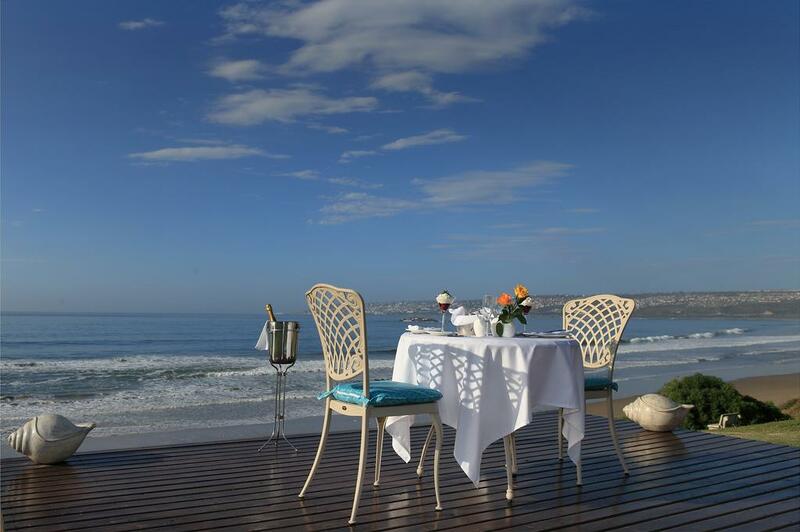 African Oceans Manor on the Beach enjoys a breathtaking seafront position in Mossel Bay, and offers luxurious 5-star holiday accommodation on the Garden Route. Direct beach access, gourmet breakfasts with beach and ocean views – and perhaps also scenes of whales and dolphins in the surf, and superbly catered beach picnics are among the pleasures guests can expect at African Oceans Manor. Six luxury suites and bedrooms in the manor and four bedrooms in the adjoining villa provide opulent comforts for beachside holidays. There's currently no specials at African Oceans Manor on the Beach. There are no conference facilities at African Oceans Manor on the Beach. Please ask us about conference facilities in Mossel Bay.